Julia and Thomas Austin Whitted had eight children between 1888 and 1911. Four of them died while young. The third child, James Albert, known as Albert, was born February 14, 1893, in St. Petersburg. Albert Whitted was well known in St. Petersburg, where an airport was named for him following his death in a plane crash in 1923. Eric Whitted, his nephew, considered his Uncle Albert to be a mechanical genius. According to Eric, "when Albert was a teenager, he was a projectionist in the old Cameo Theatre. Back in those days, all movie projectors were hand-cranked; because he was constantly reading, Albert rigged up a way to run the projector with a bicycle wheel and motor so he could read. People were really pleased because the film was running much more smoothly. But when his boss came in and saw what he was doing, he fired him." Albert and his two brothers, George and Clarence, were all St. Petersburg High School graduates. After graduation, Albert, always fascinated with motors, established St. Petersburg's first motorcycle shop. During World War I, he enlisted in the aviation corps; he was one of the first 250 aviators in the U.S. Navy. His number was 179. He became a lieutenant in 1918, and a chief flight instructor in Pensacola. 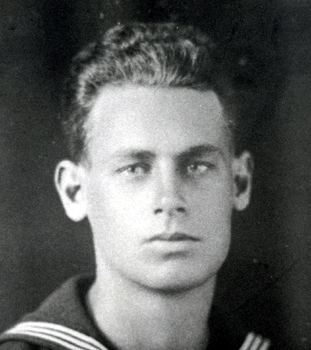 He remained in the Navy a short time after the war, conducting maneuvers at Guantanamo Bay, Cuba. After being discharged from the Navy, he went back to St. Petersburg in 1919, to bring commercial flight to the city. Albert had a hangar out on the Vinoy Basin. From there, he took passengers up in his seaplane, the "Bluebird", for flying lessons and for the view. Thousands of residents and tourists went up with him in the next few years. Eric Whitted recalled tales of a newspaper being floated in the bay and Albert swooping his seaplane down and cutting the paper in half. Albert also carried mail for a time up the Mississippi River. In true daredevil style, according to Eric Whitted, he flew his plane under the arched bridges that spanned the Mississippi at the time, terrifying the people crossing the bridges. In the summer of 1921, he built the "Falcon" in Pensacola and brought it back to St. Petersburg in the winter. On August 19, 1923, while making a flight with four passengers, the propellor broke on a plane he was flying; the plane crashed near Fort Walton Beach, Florida. Albert and his four passengers were all killed. News of his death shocked the people of St. Petersburg, where he was well-known and loved. 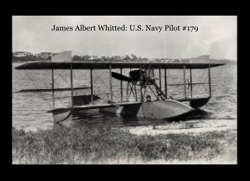 In 1929, the local waterfront flying field was named in his honor the "Albert Whitted Airport". In 1918, Albert married Frances Louise Brent of Pensacola. At the time of his death, he had two young daughters, Catherine Eugenia (Jean) and Frances Louise (Fanty). His wife, Frances, remarried in 1927. Her new husband, also a naval officer, was Harold Foster Fick, known as "Skipper." Albert Whitted is buried in St. Michael's Cemetery in Pensacola, Florida. Telegram sent to Frances Brent Whitted after Albert's death by Zephaniah Phillips Jr. The life of Albert Whitted, 1893-1923, an early U.S. Navy pilot from St. Petersburg, Florida, his parents and grandparents, his marriage to Frances Brent of Pensacola, and his years in St. Petersburg and Pensacola until his early death. You can order this book from Blurb.com - created as a hardcover with dustjacket. 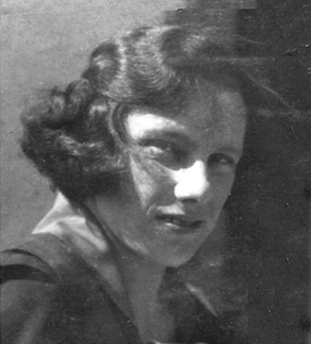 The picture of Frances Brent was taken in St. Petersburg in 1920. The picture of Albert was probably taken before 1920. Photos courtesy of Jean Healy. Information for this biographical sketch came from many sources, including Bea Whitted [sister-in-law of Albert Whitted], Larry Grimes, a Brent family researcher, Col. Michael and Anita [Whitted] Evanco, History of St. Petersburg, Historical and Biographical, by Karl H. Grismer, and others.